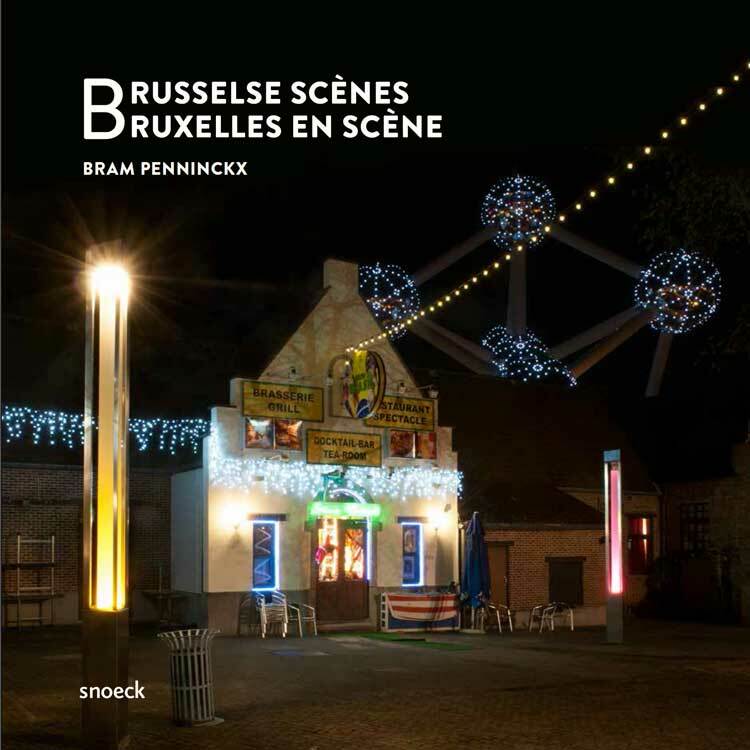 76 photos, 6 urban stories and 19 anecdotes 'bruxelloises'. 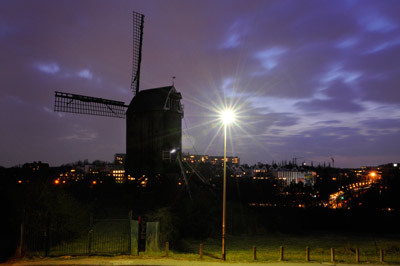 Once upon a time, a mill languished somewhere in the fields of Henegouwen. In the 1960’s, the municipality of Sint-Lambrechts- Woluwe received the thing as a gift. 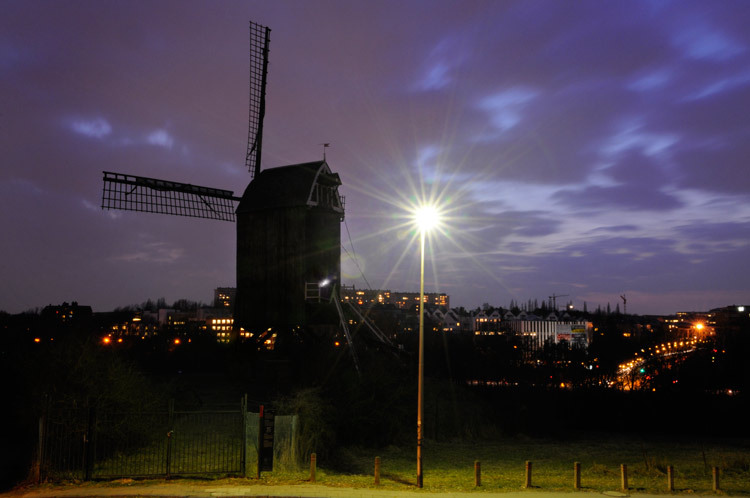 The Woluwe valley had always been famous for its watermills, but windmills? Coincidentally, the lack of wind just happened to be the greatest disadvantage to the region. The mill waits patiently for its Godot. Just like in the play, Godot will never come. Every year on 9 August, a ‘Meyboom’ tree is planted in Brussels. 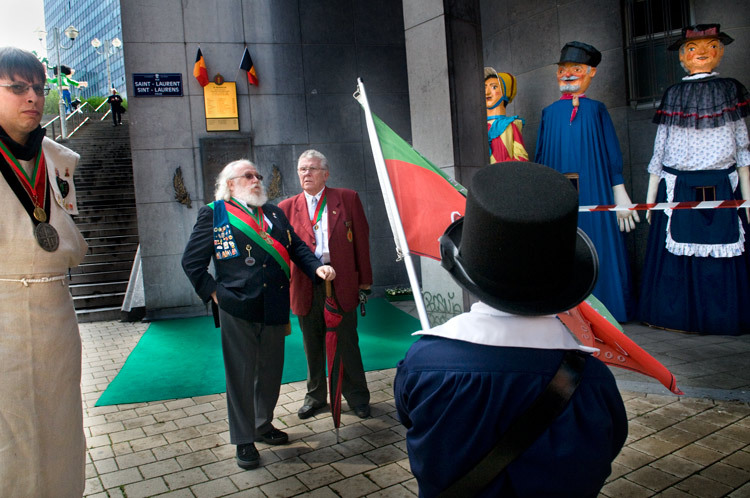 It is folklore par excellence: men, women and children in traditional dress, the Brussels dialect is the main language spoken and the tree is the guest of honour. As is tradition, each successful planting is celebrated with a circle dance. All that enthusiasm was infectious for Howard Gutman, the then the United States ambassador. He spontaneously decided to join the dance. The security staff had a minor nervous breakdown, their finger pressing even harder into their ear as they spoke even more agitatedly into their sleeve. To keep an eye on their boss they, rather unhappily, took part in the folk event.